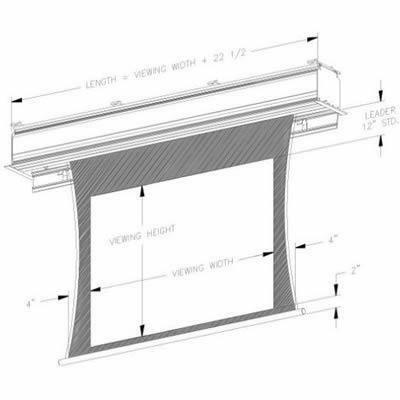 The Lectric IV is a new ceiling flush mount motorized screen; suitable for air handling spaces, designed for use with flexible tab-tensioned fabrics. 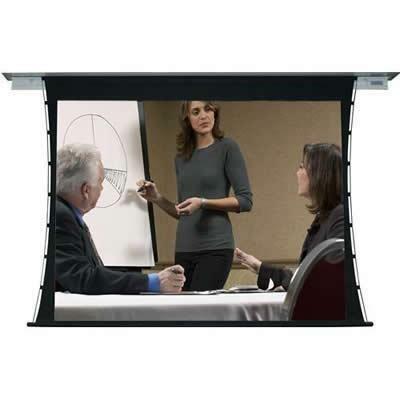 Its design accommodates additional leader lengths and includes a built-in trim kit and an internal sliding bracket mounting system. 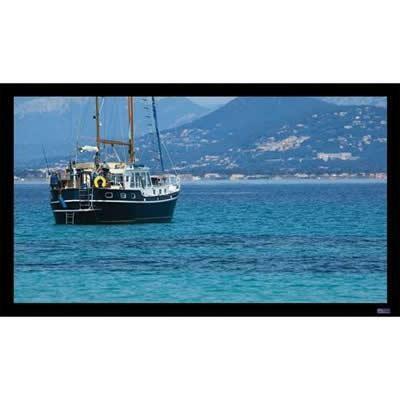 The Lectric IV is the ideal choice for installation up to 180” diagonal. Lectric IV also includes a pre-construction option that allows the housing to be installed prior to the fabric and motor assembly. This provides for safety and security for new construction or renovation applications. Additional Information Extruded aluminum housing; Large diameter rigid ribbed aluminum roller featuring Vutec’s FRS™ (Fabric Relief Step); Interfaces with low voltage relays, IR, RF and RS-232 remote controls; Service door and trap door standard; Plenum Rated - flush mount installation suitable for air handling spaces; Built-in trim kit integrated into the housing; PearlBrite surface finish.